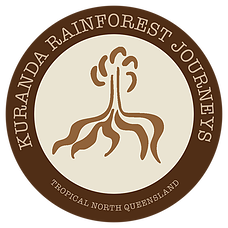 Kuranda Rainforest ATV & Quadbike - Tourism Town - The Tourism Marketplace - Find and book authentic experiences. Daily from 10am til 3pm. Perfect addition to your Skyrail journey or Kuranda day trip. Explore our secluded estate with a local tour guide on easy-to-ride ATVs. Featuring World Heritage Rainforest, local history, exotic fruit orchards and more. Great chance of meeting one of the resident cassowaries. Old timber trails lead the way into the heart of the rainforest where you will discover some of the oldest, tallest and most distinctive flora. Several antique structures will give you an insight into the pioneer history of North Queensland. An orchard with more than 600 exotic fruit trees will remind you of nature’s goodness and richness with tasting available when in season. 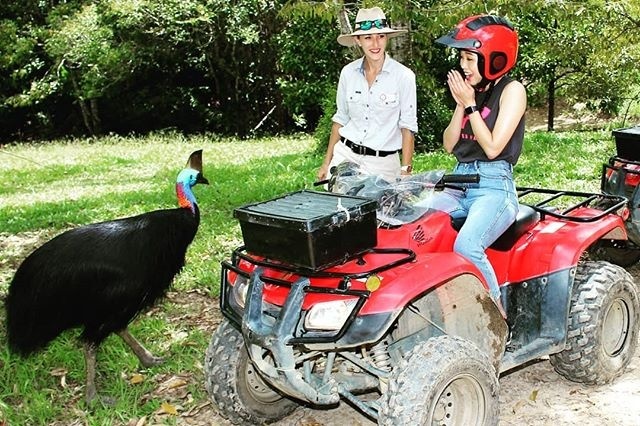 The chance to encounter a cassowary will make this the most unforgettable journey! Depart Skyrail Barron Falls Station or 1015 Kennedy Highway. Please ensure the time you choose to join our ATV tour fits with your Skyrail journey.